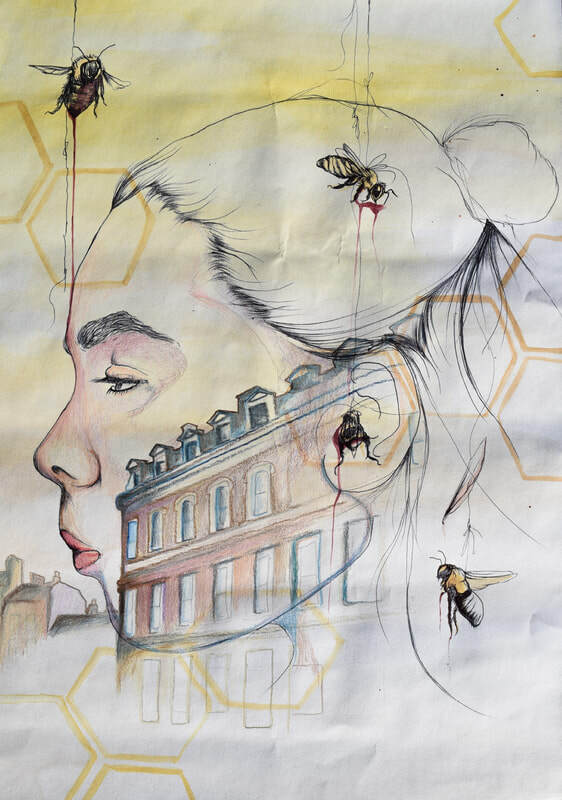 Juliet Bauermeister created this piece to bring awareness to the global issue that as the human population increases and we move forward as a human race, we are destroying the ecosystems and habitats of animals, in particular bees. By killing the bees we are killing ourselves, taking away pollination, a process that sustains the life of planet Earth. More of Juliet's art can be found on her Instagram, @juliet.k_art.